When the artwork is done, it needs be converted to the CMYK mode if it works in the RGB mode. Actually, the RGB color has the bigger color space than the CMYK. A perfect RGB mode artwork might lead to the very dull printing effect, because the CMYK has limited color space. Some colors in the RGB range can not be reproduced by the CMYK printing. 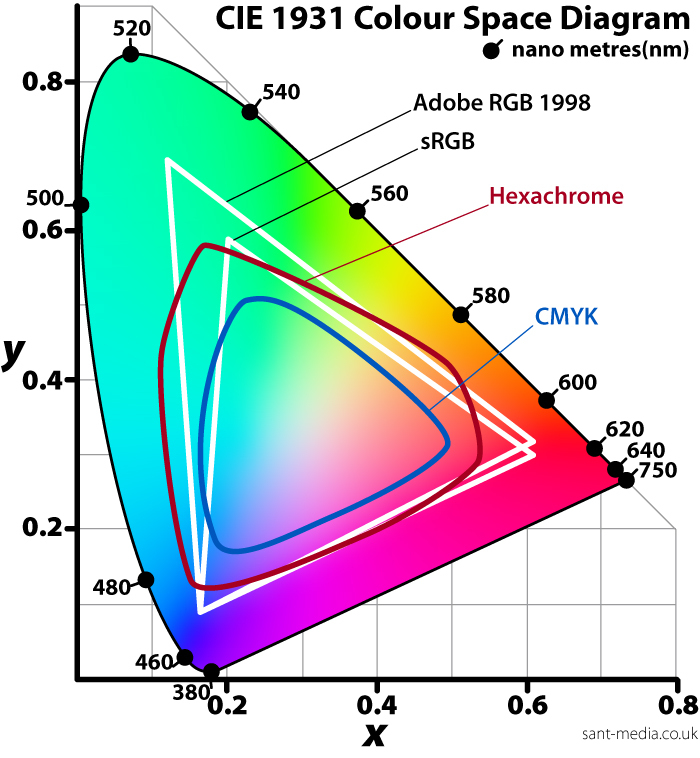 Below is the diagram to show the color space for human eyes, CMYK and RGB. This entry was posted in Printing And Finish on March 20, 2014 by Jane.